Patients being evaluated for labor (including possible induction). The Bishop Score for Vaginal Delivery and Induction of Pregnancy was originally developed to predict failure of elective induction in multiparous women. It is commonly considered for predicting the need for caesarean section after induction and preterm labor. Some centers recommend using the Modified Bishop Score which was developed in 1982 as an update to Bishop's original 1964 scoring system. Typically a score ≥ 8 is used to predict spontaneous vaginal delivery without induction and a score ≤5 suggests an unfavorable cervix likely to require induction. Predicting which women will successfully deliver with induction is difficult, and the Bishop Score is a standardized system used for evaluation. Induction is often considered at a Bishop Score of ≤5. Scores ≤ 5 suggest an unfavorable cervix, and that induction may be necessary for successful vaginal delivery. Scores 6-7 do not definitively predict whether or not induction will be successful. Consider induction or augmentation of labor based on clinical judgment. Scores ≥ 8 suggest spontaneous vaginal delivery is more likely and augmentation or induction may be unnecessary. Bishop EH. Pelvic scoring for elective induction. Obstet Gynecol. 1964;24: 266–8. PMID 14199536. Newman RB, Goldenberg RL, Iams JD et al. Preterm Prediction Study: Comparison of the Cervical Score and Bishop Score for Prediction of Spontaneous Preterm Delivery. Obstet Gynecol. 2008;112 (3): 508–15. doi:10.1097/AOG.0b013e3181842087. PMID 18757646. Laughon SK, Zhang J, Troendle J, Sun L, Reddy UM. Using a Simplified Bishop Score to Predict Vaginal Delivery. Obstetrics and Gynecology 2011;117(4):805-811. doi:10.1097/AOG.0b013e3182114ad2. 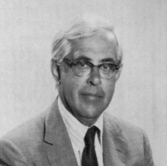 Edward H. Bishop, MD, (d. 1995) was one of the biggest names in obstetrics and gynecology during his lifetime. He was a pioneer in research and clinical practice, working primarily at Pennsylvania Hospital. His research involved re-evaluating exam techniques and predicting delivery outcomes.